In this example I am going to deploy the HP Support Assistant application, but, only if the client is HP Hardware. I already have the HP Support Assistant added as an Application, and added to my Task Sequence. Switch to the Options tab of that Task Step. Two options immediate visible which I haven’t mention at all yet, Disable this step, and Continue on Error. Straight forward enough of course. Note that selecting Continue on Error changes the icon colour from green to a white. Also note that you can enter additional stuccesscodes, if an application exits with an odd exit code. Below that, is where our attention is needed. Click on Add. We have several options here, select If Statement. 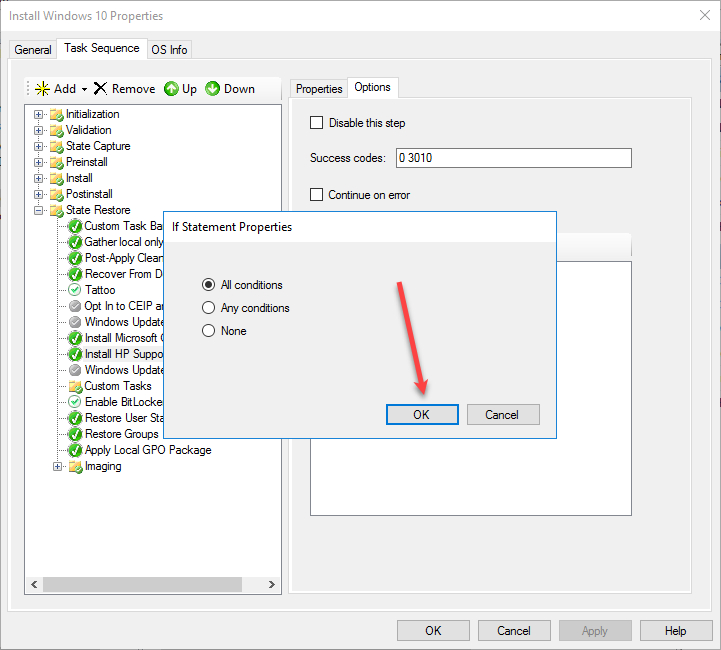 Click On OK on the Properties window. 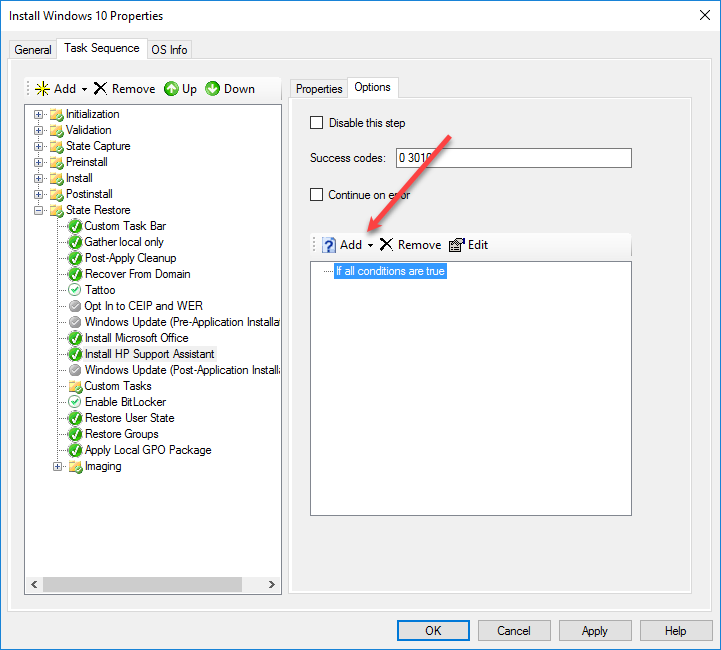 Click on Add again, this time select Query WMI. 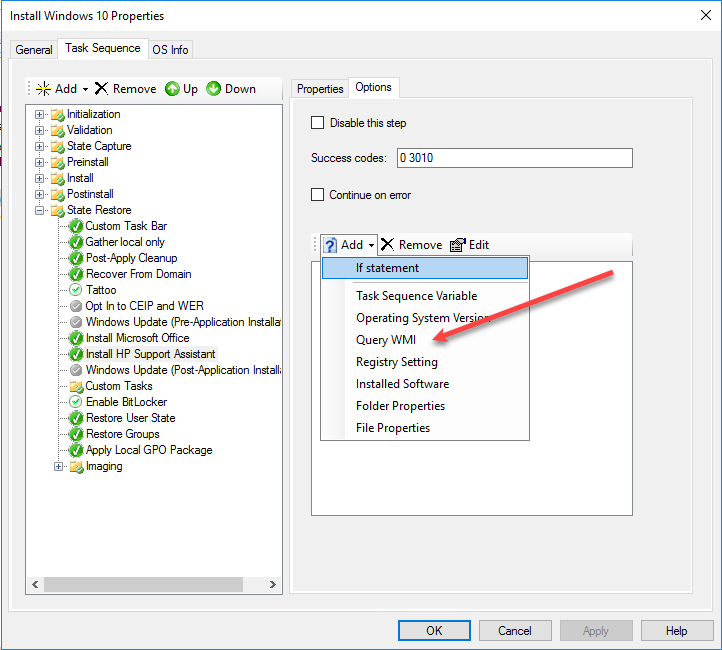 In the WQL box, we can enter a WMI query that will return True if our machine is HP. 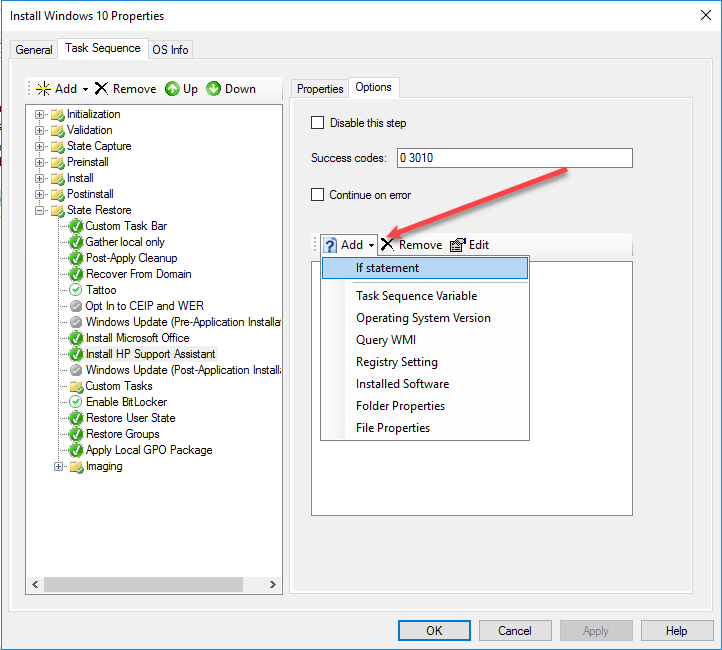 Using WBEMTest is a good way to test your WMI query before you try it out. 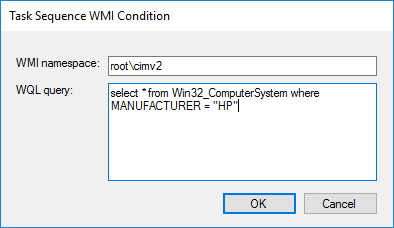 select * from Win32_ComputerSystem where MANUFACTURER = "HP"
Click on OK to enter the query. However, some HP machines report the MANUFACTURER as Hewlett-Packard. 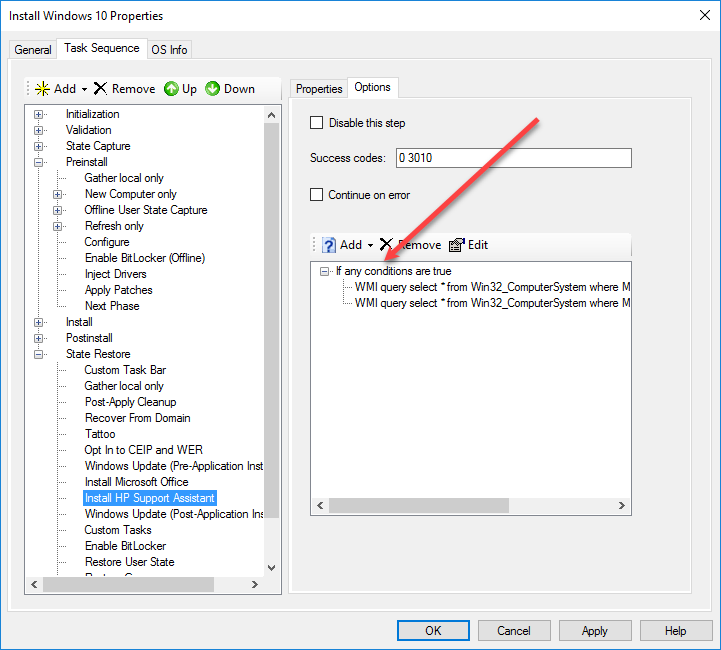 So what we can do is set our IF Statement to ‘any’ rather than ‘all’ and add another WMI query that returns true for Hewlett-Packard. Click on ‘if all conditions are true’ then select Edit and choose ANY. 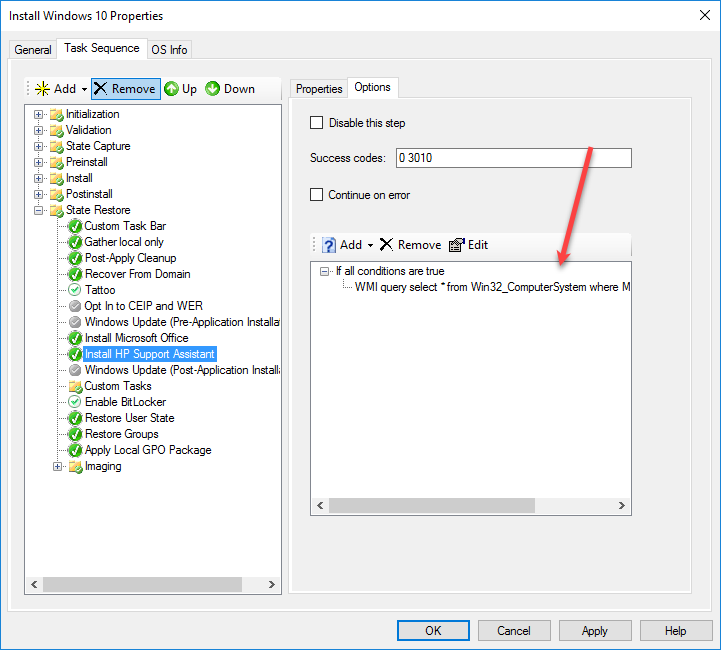 Then repeat the process to add another WMI Query. 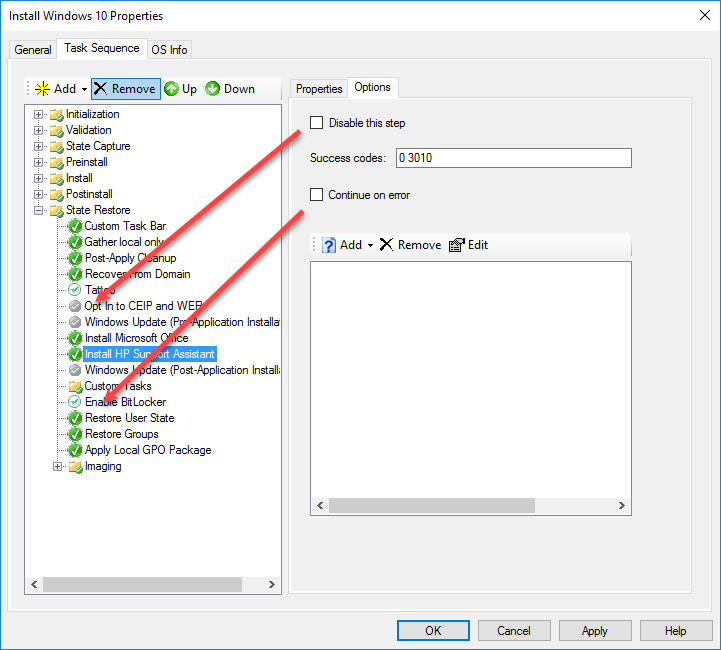 select * from Win32_ComputerSystem where MANUFACTURER = "Hewlett-Packard"
Once we apply this, any computer being deployed that is not made by HP will simply skip this step in the Task Sequence. I think that’s all I have for this series, Hopefully i have shone a light on some techology that may have passed you by, as it did me. Luckily though, as it is close to four years old, there is a huge amount of resources available to you to pretty much answer any question you might have!